After the fair we picked up Lauren’s car from the wedding reception she was at so we would be able to drive around and let Grayson and Suzanne get back to their lives! We headed back to the house and hung around for a bit, watching some TV and playing with Molly! After a while we were hungry for dinner, so Harrison decided I had to try a Horseshoe. What is a Horseshoe? Well, it’s famous in Springfield because that’s where it originated. It’s a piece of texas toast with meat on top (we chose a hamburger patty) and then they put the fries on top of that and cover the whole thing in melted cheese… Sounds disgusting, right? It was AMAZING. Haha granted I hadn’t eaten this kind of food in ages so it was a real treat, but it tasted pretty good! After dinner, Harrison went and picked up Lauren from her wedding reception and since it was so late, we decided to just spend the night rather than getting back to Chicago around 1am! Good choice, because I needed some sleep for my 4 mile run in the morning! 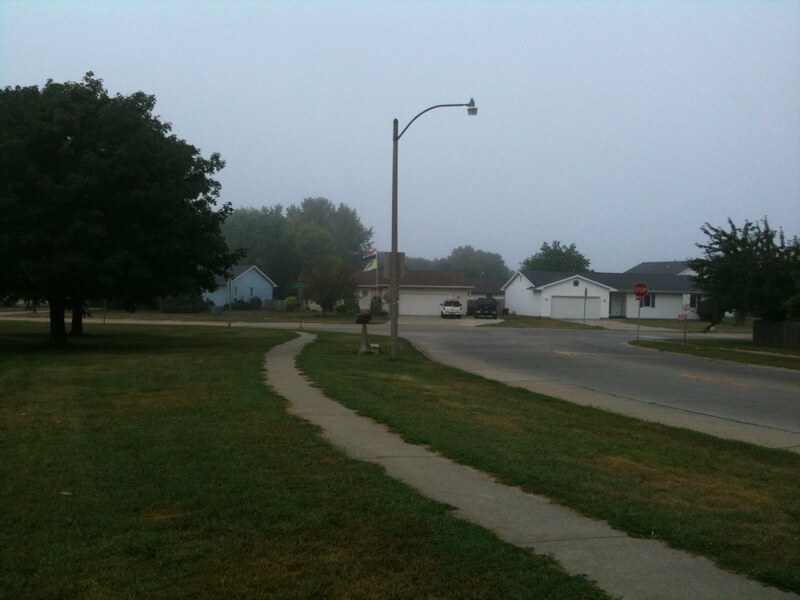 I ended up running 4.5 miles around the neighborhood. And when I say around, I mean AROUND. Haha I thought I was going straight in one direction and then straight back, but I ended up doing a circle twice without even realizing it! I guess everything looked the same! I ended up finishing in 38:52, which was an 8:37 min/mile pace! Honestly, I think my mapmyrun program might be off… that seems really fast to me. Haha it did feel like a pretty easy run though, I was in my groove! So I guess maybe it’s right! Just hard to believe! 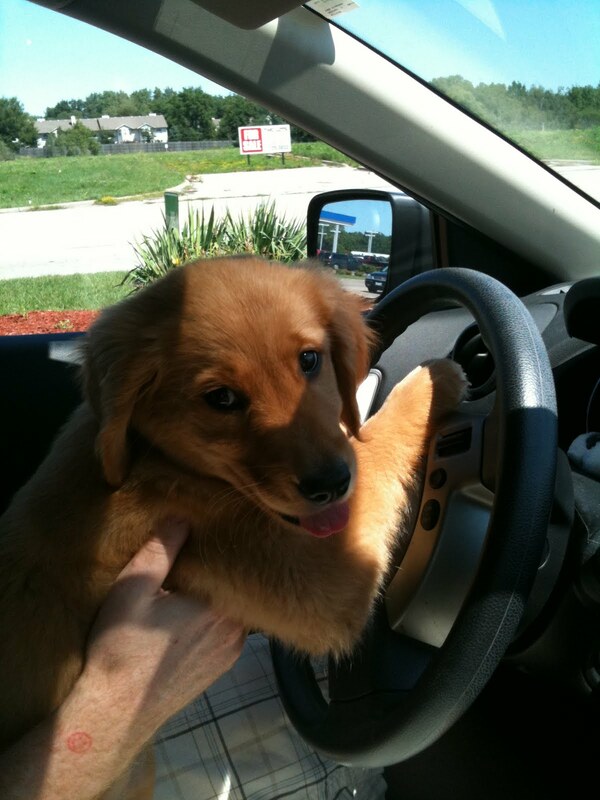 After my run we packed up the car and headed back to Chicago! 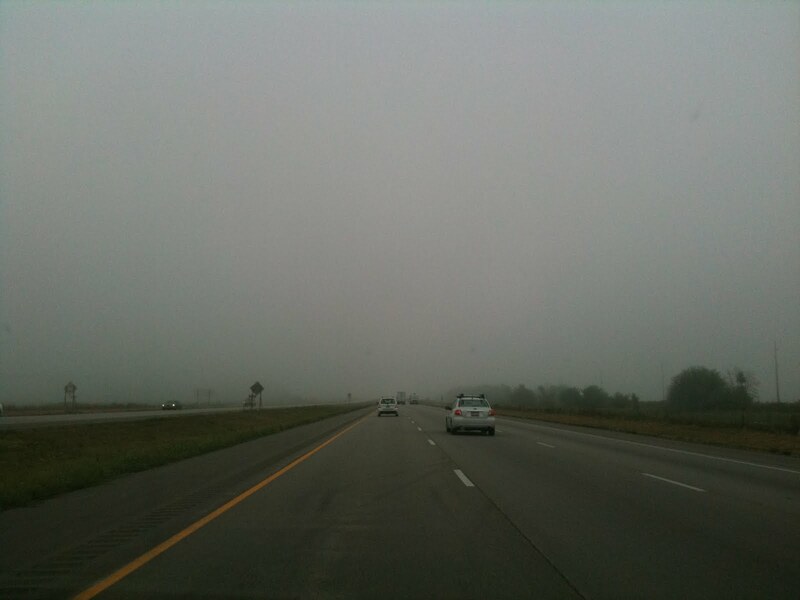 The first bit of the trip was interesting… let’s just say Molly was a bit rambunctious and didn’t want to be in the car… It was also a very foggy morning! Here are some pictures from our drive back! 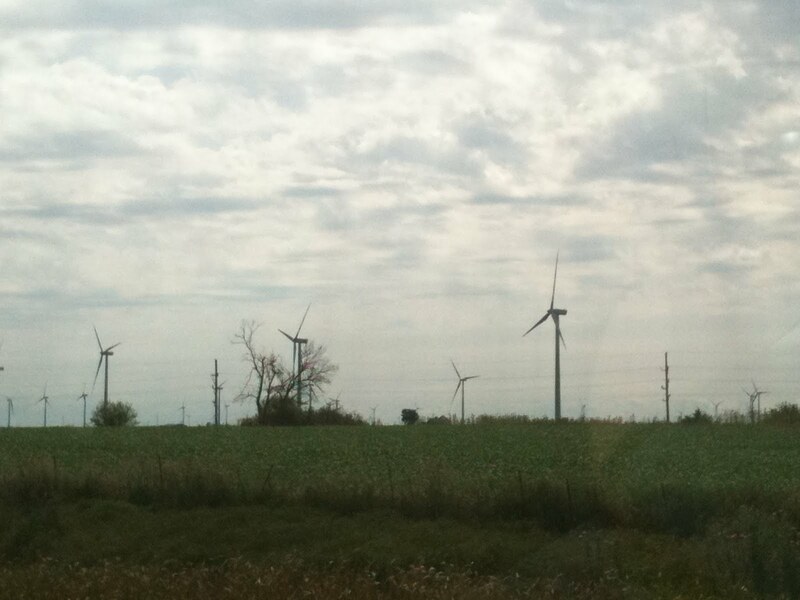 I love windmills, we passed several fields of them. I think they’re pretty! Go alternative power sources! 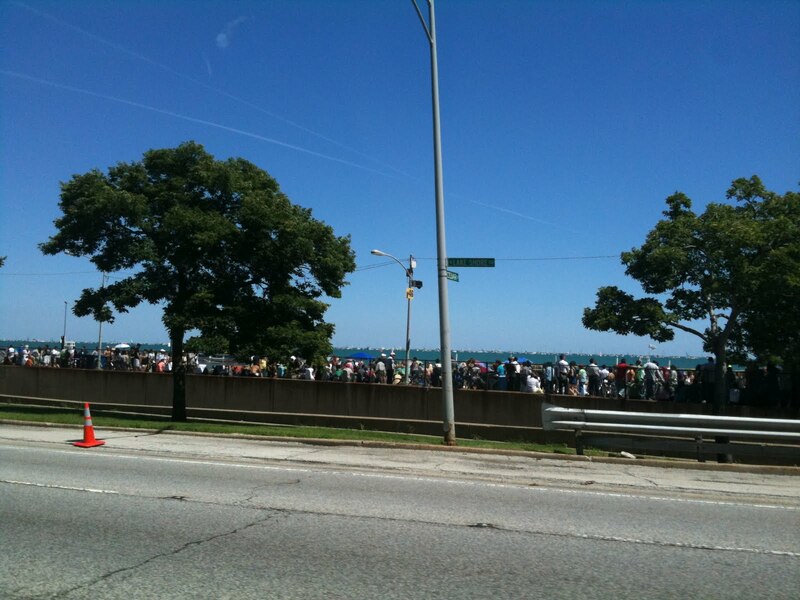 Once we arrived back in Chicago, we remembered it was Air and Water Show weekend! SO MANY PEOPLE!!! 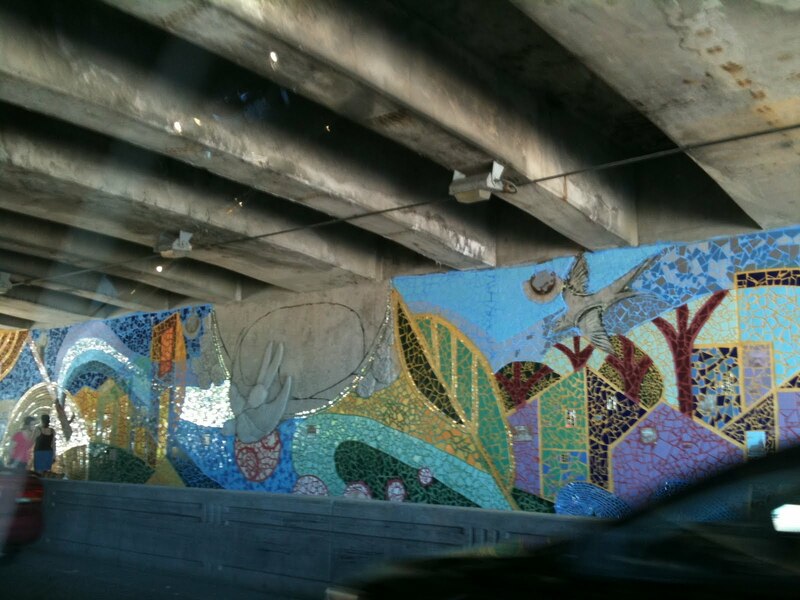 We had to get off on a different exit because of the show, and I saw this mural as we passed under Lakeshore Drive. I thought it was so pretty! When I got home I was starving and IMMEDIATELY made a smoothie! I’d been missing them! Then I tried to get some work done and then went off to see The Help with my book club! The movie was great and did a wonderful job of capturing the book. However, I did think how they incorporated Skeeter’s boyfriend was odd; it was as if they just threw him in to have him there but showed nothing about his family, which was important to his character. Oh well, haha the movie was already long enough I guess! 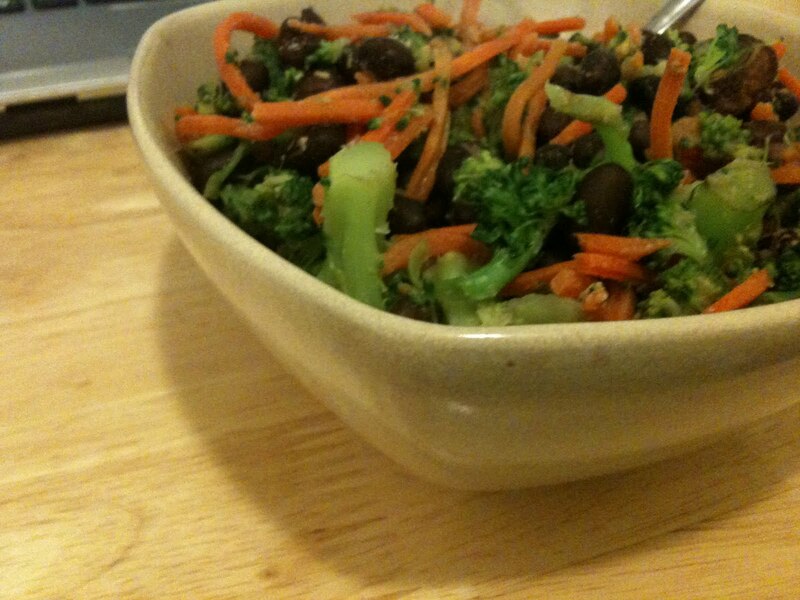 Broccoli, carrots, mushrooms, 1/2 cup black beans and then I added 1 tsp cumin, some dijon mustard and a sprinkle of garlic for seasoning. Delicious as well as quick and easy! What’s your favorite dinner to throw together at the last minute? 2L Year, What? Bring It.